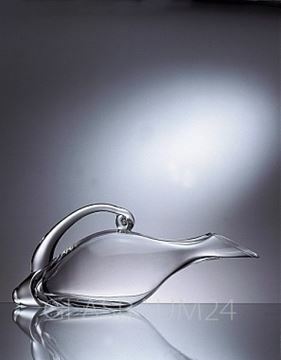 Already in it’s 3th generation of glass makers, Eisch has been known for its quality items, unique abilities and innovations in glass. Eisch has earned many awards and recognition from the glass-working world for its abilities. 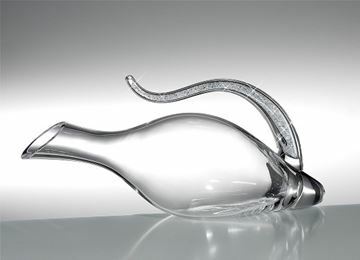 Over the years Eisch earned an outstanding reputation in the glassworking world. 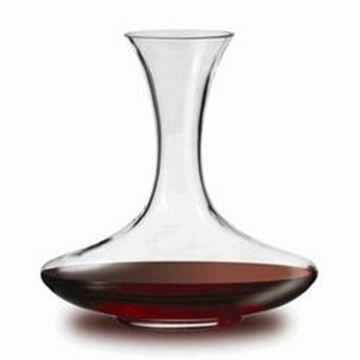 Since 1998 Eisch has been voted thirteen times as the number one glass producer by German retailers. In 2006 Eisch was chosen as one of the most innovative businesses in Germany in the nationwide competition “Land of Ideas” under the auspices of the German President Mr. Horst Köhler. Eisch has received many endorsements and praise for Sensis plus Glasses from around the world. The Eisch Sensis plus Glass Innovation was chosen as Product of the Year in Canada in 2007. 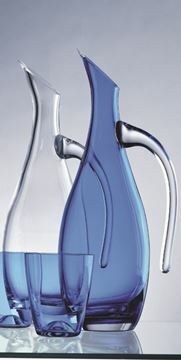 No Drip Effect©: Specially treated rim to inhibit wine drops from beading down the outside of the carafe.